See this page for Lenz Sport Torque Specs Trail bikes. Replacing bearings requires the proper tools and experience. If you don’t have the proper tools, be sure to have an experienced bike mechanic do the work on your bike. You can also send your frame to our factory in Colorado and we will provide a full bearing replacement for you. 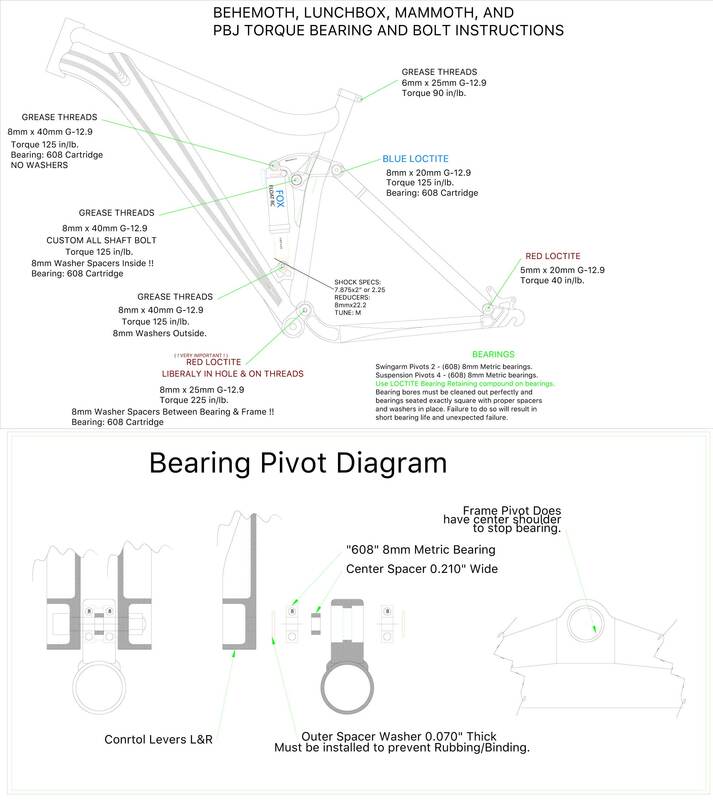 Click here to see torque specs for our cross country bikes.